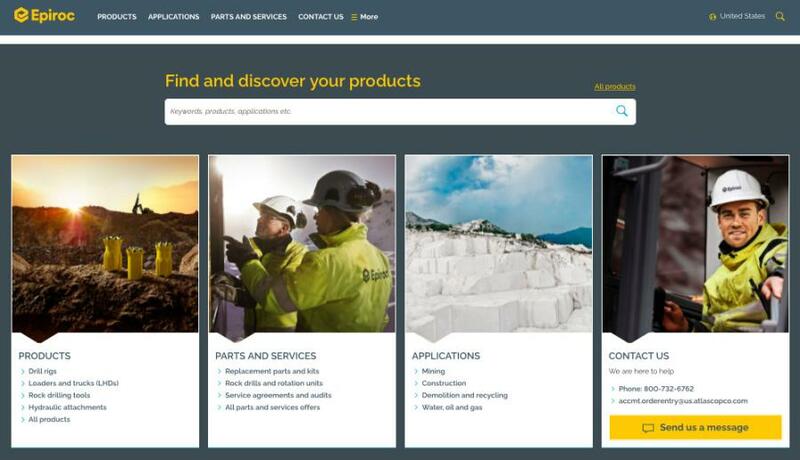 Designed with the needs of mining, infrastructure and natural resources customers in mind, the new website features user-friendly navigation and functionality, according to the company. Epiroc has launched its new U.S. website, www.epiroc.us. Designed with the needs of mining, infrastructure and natural resources customers in mind, the new site features user-friendly navigation and functionality, according to the company. Epiroc is a bold new company born of the mining and rock excavation technique business area and the hydraulic attachment tools division of Atlas Copco. The company develops and produces drill rigs, rock excavation and construction equipment, and provides world-class service and consumables. Epiroc.us offers valuable information on Epiroc products, parts and services, applications and industry solutions. The new site provides simplified navigation and enhanced search capabilities to help visitors find and discover exactly what they need. Responsive design makes the site easy to use across browsers and devices. The website connects to the Epiroc Shop Online system where customers can easily handle Epiroc orders 24 hours a day, seven days a week. Other components of the site include a newsroom, media gallery, careers area, corporate information section and links to follow Epiroc on social media.